The high quality of services and infrastructure of the Destination’s hotels is making headlines in top international media. Prestigious international media have dedicated space in their publications to hotels in the Riviera Nayarit. Below is a roundup of some of the latest and greatest to hit the headlines. For starters, the Grand Velas Riviera Nayarit placed 4th among the best all-inclusive hotels in Mexico on a list published by U.S. News Travel, a story also shared in the finance section of Yahoo Canada. The Four Seasons Punta Mita was in 10th place on Travel + Leisure’s list of best hotels in Mexico. Robb Report wasn’t satisfied with just one news article on the destination’s resorts. First it announced the “Wellness Week” celebrated by the Grand Velas, an event that combined fitness and spa activities with cooking workshops with Top Chefs specializing in vegan menus. The second article focused on the theme that Grupo Vidanta and its five hotels make up the best development in Nuevo Vallarta. As if that weren’t enough, it included The St. Regis Punta Mita Resort’s Carolina restaurant among the Top 5 up-and-coming restaurants on the Mexican gourmet scene. 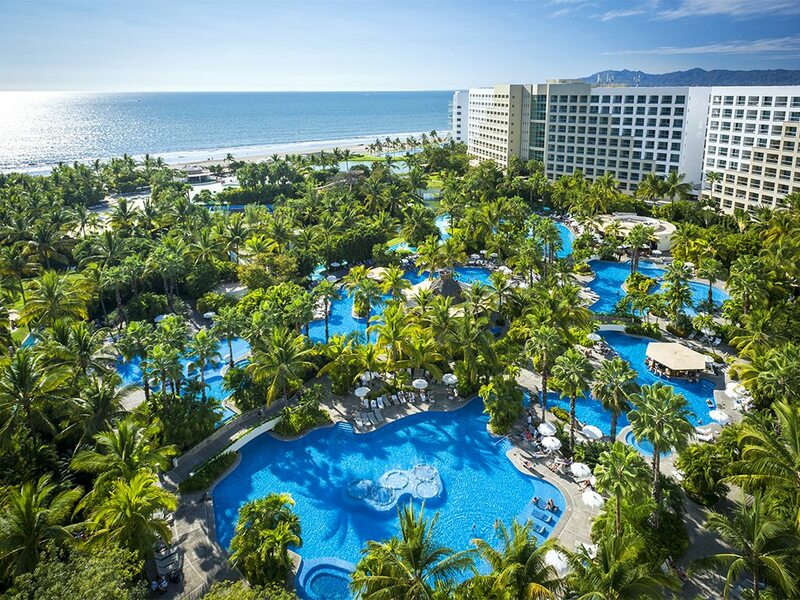 Travel Age West wrote about the many attractions of the Hard Rock Hotel Vallarta for groups and events, highlighting the Sanctuary Convention Center, the largest in the Destination. And according to Luxury Living Magazine, Hotel W Punta de Mita is paradise itself, while Travel Pulse mentioned the Grand Sirenis Matlali Hills and its adults-only suites.